As I said before, this chicken coop was...interesting to build. Poor Jeremy. He loves me so much. 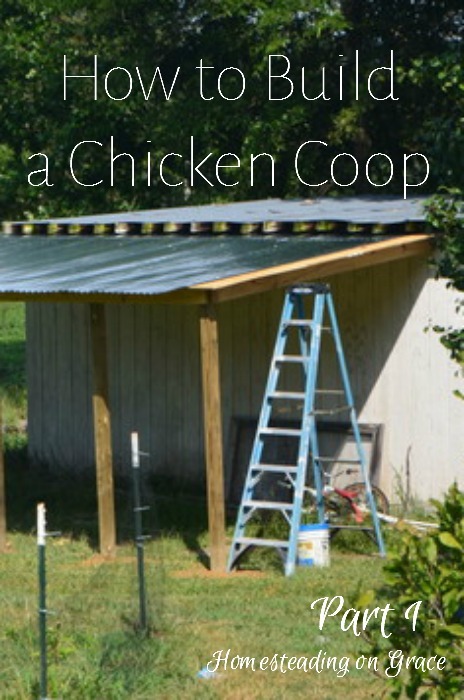 We decided to build a new coop on the other side of the garage-turned-barn (which is looking more and more like a barn these days) for our new chickens and guineas. The goats will need more room next year, and we'll be setting up the old space for goat babies and goat milking. The problem with building something attached to the garage? The garage is not at all square. In fact, it leans forward about 6 inches. Makes things a little interesting, don't you think? At first, Jeremy was all "Well, MY room is going to be square." And then as he was building, he kept having to say things like, "Well, this is called eye-balling it" and "It'll have to work" or "Nobody will notice that." But the first thing to do was put in the posts. We just happen to have a buddy who owns an auger. He was able to bring that over and dig out all five holes in about an hour. And these were deep holes, about 2.5 ft. The room is 16 feet long, so the posts are every four feet. Jeremy laid out string to show where the posts needed to be so that everything was nice and straight, and 10 feet from the garage for the 10 x 16 room. We use this handy dandy pounding tool to compact the dirt around the post. It works really quickly; I even got in on some of that action. Then Jeremy poured an 80 lb. bag of concrete in the hole, about a half a 5-gallon bucket of water on top of that, and let it dry for the next day and a half. Next up was of the roof. And this is where it started to get a little wonky. To keep the roof level on the post side would make the roof skewed on the garage side. So Jeremy "eye-balled" it. 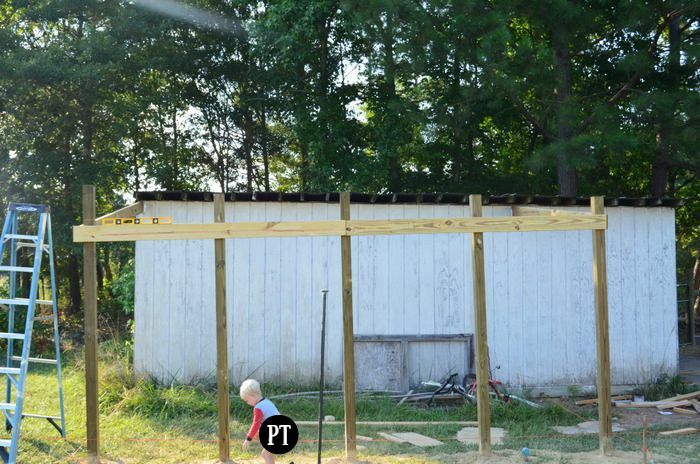 The back of the garage is higher than the front, so he had to build the coop the same way. 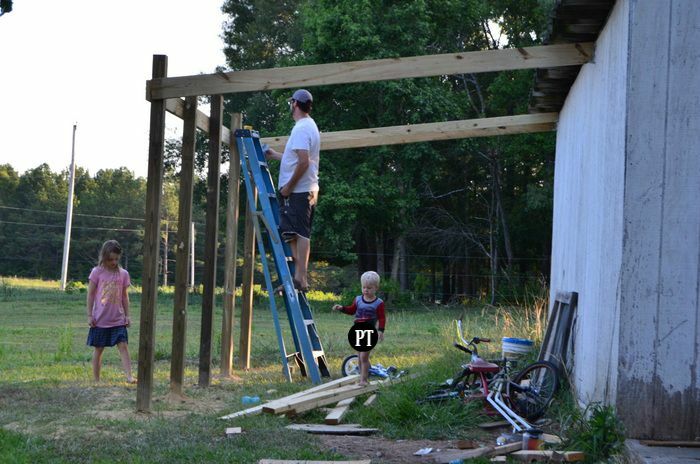 He screwed two 2x6x8's across the posts to make the beam for the side, and a 2x6x10 across the front and back for those beams. And he did have to move everything around a couple of times. to get the lines right. The rafters were attached to the garage and the beam using joist hangers. The rafters were 2x4x10. He eye-balled the pitch, so he says you gotta have a little bit of luck. He followed the lean roof of the garage, basically. The roof falls about 16 inches for the pitch. And the rafters are spaced 12 inches for a strong roof. Cover the rafters in 4'x8' sheets of OSB. It is a bit like a puzzle since the roof is 10ft. Jeremy added an overhang of about 6 inches on all 3 sides too. The OSB had to cover an area 10.5'x17'. Cover the OSB in 2'x12' tin. Just screw it in. Bada bing, bada boom, you have a covered lean-to. Next part, the walls, windows, and door! Great job Jeremy! Isn't it wonderful to have generous neighbors! Ooooh, I can't wait to see it done! Thanks for sharing on The Maple Hill Hop! Looking forward to seeing the finished product. Your fancy new critters will be so happy! Retrofitting things is always fun, and ackward! 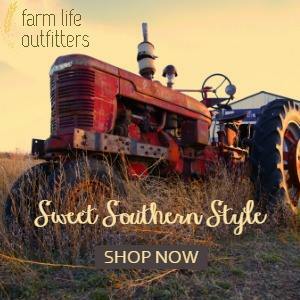 Around here, our saying is "It's rustic." 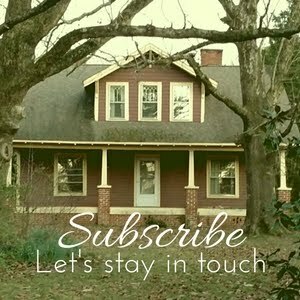 :D Thanks for sharing on the Homestead Blog Hop! Nice! 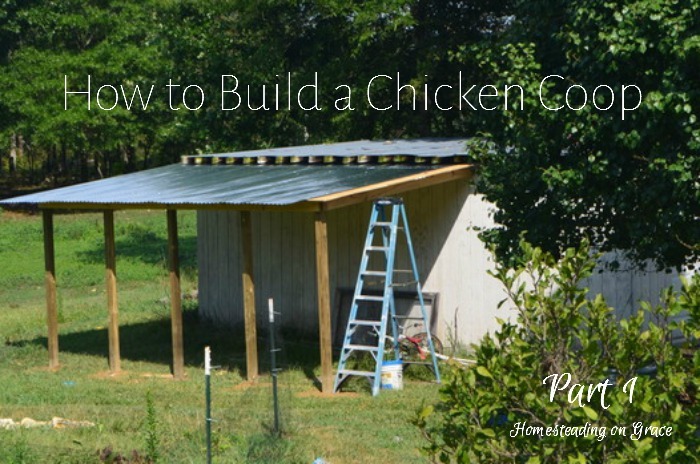 We built a chicken house similar to yours and built our home and many other things to. We also sectioned off the areas of our chicken house for sleeping, nesting, and for the broody hens.